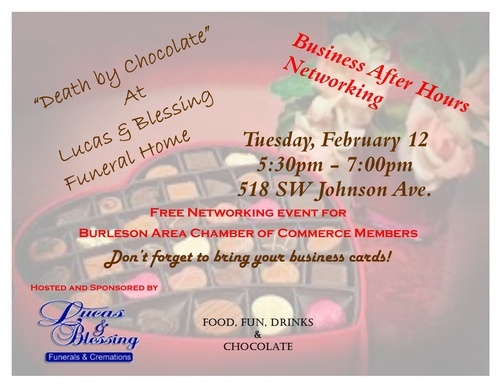 Lucas and Blessing will hosting the Business After Hours Networking event with the theme "DEATH BY CHOCOLATE." You won't want to miss this!! There will be food, fun and obviously chocolate!